Fellowship Ministries seeks to bring all ages of the congregation together in a social setting, for the purpose of getting to know one another more fully in the joy of Christ. The Hospitality Ministry provides refreshments for numerous events at the church including fellowship events, funerals, Wonderful Wednesdays and special receptions. Light refreshments between the first service and Sunday School are also coordinated by this ministry. Each month women gather to knit or crochet and pray. 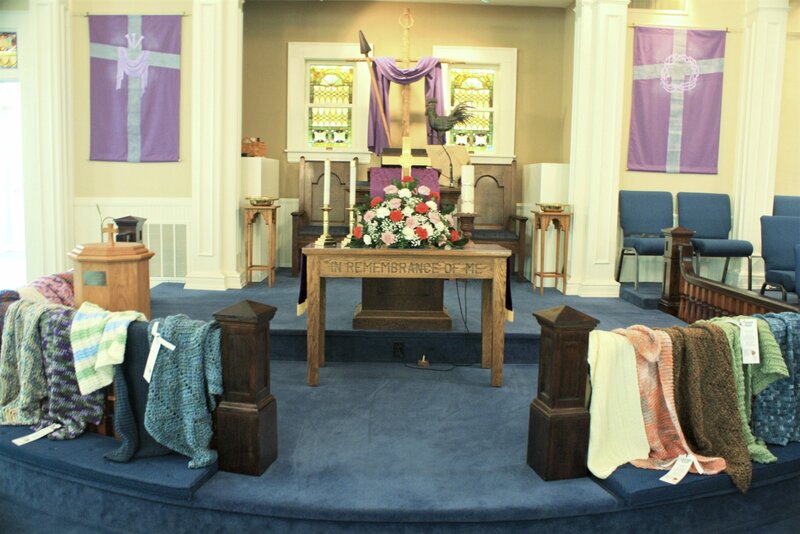 Once completed, the shawls are blessed during a special Sunday morning Worship Service. Shawls are gifted to an individual as a tangible reminder that God is with them, they are not alone. 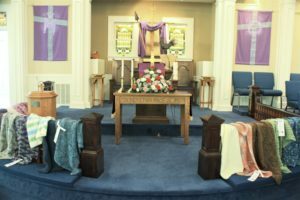 Request for a lap shawl, prayer shawl or prayer bear, should be given to the church office. Through neighborhood “Circles of Christian Friends” church members fellowship together and support those in need during times of crisis or illness. 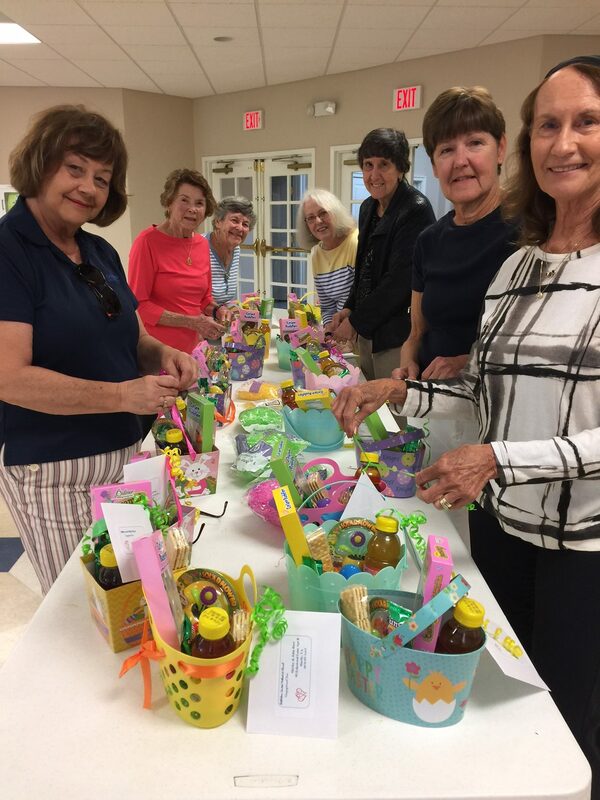 Congregational Care leaders assembling Easter Baskets for shut ins.